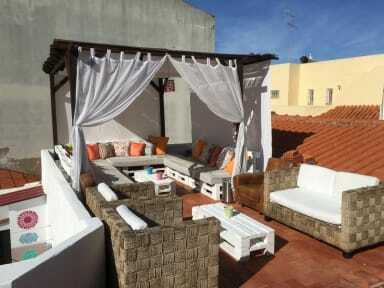 Orange Terrace Hostel i Albufeira, Portugal: Reservér nu! In Case of Cancellation less than 48 Hours before booked date or No Show 100% of the total booking will be charged. The hostel has natural roof covered patio with chill out area, a spacious sunny roof terrace with lounge area with a small Bar and BBQ area. Free DAILY BREAKFAST. Cancellation Policy: 2 days before the arrival. If you fail to cancel in time we will charge you the 1st nights stay. Method of Payment upon the arrival: Cash or Card.